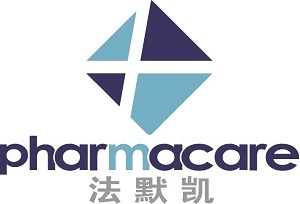 Nanjing Pharmacare Co,.Ltd, Established in June 2015, it is committed to becoming China’s most influential pharmaceutical trade and regulatory technical support integrated service provider, providing high quality pharmaceutical trade platform and high quality regulatory technical services for domestic and foreign customers.At present, our company has five business segments, namely, pharmaceutical preparations export, active pharmaceutical ingredient export, chemical and pharmaceutical intermediate production and export, Active Pharmaceutical Ingredientand preparations import, and regulatory technical support and services. Our business covers more than 60 countries on five continents. And has obtained nearly 300 international registration certificates for pharmaceutical preparations and APIs, also has exclusive domestic and international sales rights for multiple preparations and raw materials. In order to better and faster and more powerfully expand overseas, we have established offices in Brazil and Thailand, and have built close cooperation with world-renowned pharmaceutical companies（Merck、Pfizer、Sandoz etc） and many Regional pharmaceutical leading enterprises.